Welcome to the New MuttCash - Our program now features more tools and we will be adding more daily! Our old content is still available for a limited time by clicking here. There is no limit to the amount of money we can make together. The day you start pushing traffic to LittleMutt.com, we start building toward a lucrative, mutually beneficial future. You get a full 50% of every signup and 50% of every re-bill. That means that each month your check will include every new member you've sent us and every one that stays with us. Our dependable original, high-quality, high-volume video updates give us an extremely high retention rate, so this multiplies fast, and it's compounded by every step you take to get more traffic coming through your site, into ours. 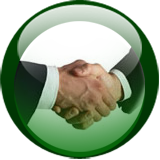 We use the CCBIll affiliate program because their legitimacy is unquestionable. You don't even need to trust us because we don't have any influence on their tracking system; it is handled entirely by them. They follow traffic with cookies to ensure that every new member referred by your site results in payments made directly to you. They pay out on the 1st and 15th of every month by check or ACH direct deposit. 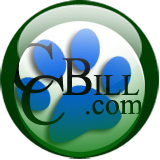 You can access statistics directly through your CCBill (follow the "view statistics" link above) in order to see exactly how well our site is converting your traffic into dollars —your dollars. Because this deal can be so good for everybody involved, we want to make sure you're happy. If you ever have any suggestions regarding our affiliate program or our website, please feel free to email us at your convenience. The better our conversion/retention rate is, the higher your payouts will grow to be, so please let us know what you think. Our relationship with webmasters is the lifeblood of our business, and we don't take it lightly. We're expanding fast and we will always provide you with top quality promotional tools including new images, new video clips, and well designed banners. 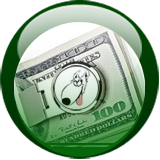 Copyright © 2007-2008 MuttCash - 50/50 Partneship Program - 10% Webmaster Referal. All rights reserved.